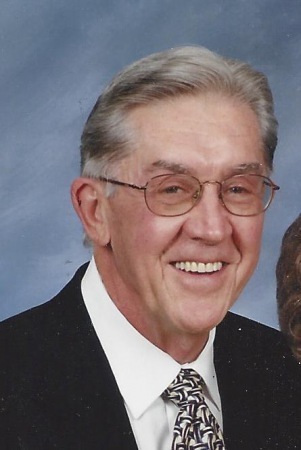 Ronald E. Stone age 89, Beloved husband of the late Delores. Dear father of Dennis (Noreen), Ronda, Gary Stone and the late Donald Stone. Loving grandfather of Derek and Ryan Stone (Joanna). Brother of the late Allan Stone. A great guy loved by all. Funeral services to be held Saturday Dec. 1, 2018 at 12:00 noon at Westlake United Methodist Church 27650 Center Ridge Road Westlake. Where Friends may call from 10:00 am until time of service. In lieu of flowers memorial contributions may be made to Westlake United Methodist Church or the Gathering Place Arrangements by Jenkins Funeral Chapel Westlake. My deepest respect and sympathy. I am glad to have known Ron and Delores. So glad to have run into Ron and Rhonda at Ruyst Barrell about a year ago.